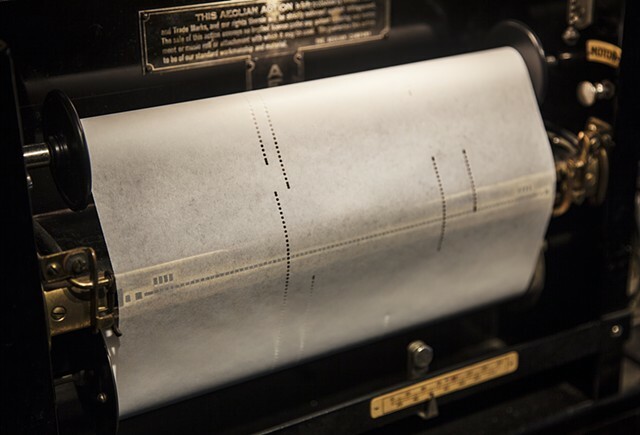 With Music for Elephants, interdisciplinary artist Jenny Kendler algorithmically translates data predicting future poaching of African elephants into a score for a vintage ivory-keyed player piano. 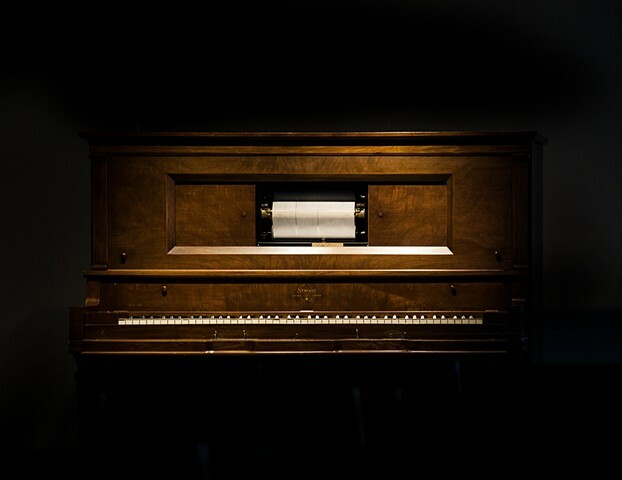 Each note played on a restored player piano from 1921, represents the number of elephants who may die in the future from ivory poaching in a single month. Much as an elephant would caress the tusks of a loved one who has died, a ghostly absence seems to play these notes. As was common before the 1970s, the keys of this beautiful, antique instrument were crafted from ivory, the very material that drives people to kill elephants for their tusks. Though pianos are no longer made with ivory, this piece serves as a haunting reminder of how our unchecked or ill-informed desires can have devastating impacts our ecosystem and other beings. The score, both eerie and meditative, counts down month by month, from a population of around 400,000 African elephants remaining today, predicting how many elephants may die in each month that the world does nothing to stop ivory poaching and illegal trade. Lower, longer notes represent greater numbers killed for their ivory. During the 10 minute piece, poaching increases at rate of only 1.5% annually—but after only 300 months (25 years), the count of living elephants falls to zero, the piano’s ivory keys fall silent…and elephants are extinct. Sadly, scientists warn us that extinction could happen even sooner, if rates of poaching and regional instability increase even further. To create this work, artist Kendler partnered with wildlife specialists at environmental non-profit NRDC. The data they gained access to shows unequivocally that African elephant populations have been declining precipitously in past decades. Extrapolating from data she gathered on elephants’s natural births, deaths and rates of illegal poaching, Kendler’s algorithm shows a dark future of what could be—if we are unwilling as a species to undertake meaningful action to protect these magnificent beings with whom we share the Earth. The African Elephant (Loxodonta africana) is a species known to us all, and beloved by many. Deeply social, long lived and with a famously long memory, elephants are much like us. Like us, they are highly communicative in ways we are only just beginning to understand. Like us, they change their environment, keeping savannas open and grassy—something that may have allowed for our own evolution. Like us, they care for their families. Elephants are known to mourn their dead, habitually revisiting the sites where loved ones have died to caress their bones, and pass ivory tusks between family members. We can only imagine that like us, they know love and loss. And like us, their only real threat are humans. We don’t know how many elephants there were before humans began carving up their land, capturing them for work or warfare and killing them for meat and ivory. We do know that from several million at the beginning of the 20th century, their population is now around 400,000—for perspective on the increasing direness of the situation, over 100,000 African elephants were massacred between 2010–12 alone. By far the largest cause of these deaths is the illegal poaching of elephants for their ivory tusks. In the 19th century, King Leopold of Belgium’s desire for access to this “white gold” led to a devastating colonial occupation of Congo, a country now in free fall, which continues to be a major source of poached ivory. 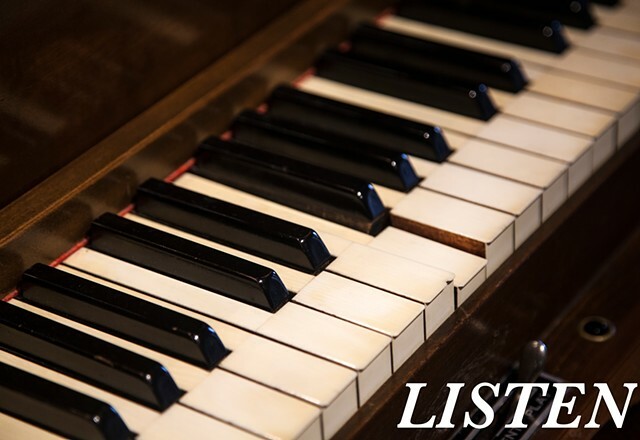 In the 1970s, before international trade was banned, ivory was used mainly for carvings and piano key tops, with about 40% of ivory going to Japan, 40% to Europe and N. America, and the rest staying in Africa. Today, illegal ivory often funds murderous regional militias like Sudan’s Janjaweed and Joseph Kony’s brutal Lord’s Resistance Army, and is traded through international criminal networks. Most of this ends up in Asia, where an economically booming China consumes over 70%. The murdered elephants’s tusks are carved up and sold for upwards of a thousand dollars a pound, to be made into chopsticks, rings and other wealth-demonstrating consumer trinkets. Since ivory first became associated with power and wealth and traded as part of global capitalism, the hunger for ivory—and the associated devastating consequences—have only grown. It is now up to us as a species to decide what matters. The way human beings feel about a species is now one of the main factors in its survival—so our empathy, or lack thereof, has become an ecological force. If we give in to our desire for more, we may lose the chance to ever understand the minds of these remarkable others, so much like our own. There are those who long to make contact with alien minds from other distant stars—but we have them here, on our planet, if we can only put aside our greed and sense of ‘human exceptionalism’ and recognize our kin. If you'd like to help, Save the Elephants is doing excellent work on the ground in Africa to monitor populations, support anti-poaching efforts, and build paths to human/elephant co-existence. Thanks to Artprize curatorial fellow Alison Erazmus who helped debut the project at in Grand Rapids, before it traveled to Chicago’s Museum of Contemporary Art (MCA), with the assistance of Coordinator of Public Programs and Interpretive Practices, Ann Meisinger. Special thanks to the artist's husband, sound artist Brian Kirkbride, for invaluable guidance in writing the software to generate the score. Thanks also to environmental non-profit NRDC, where Kendler is Artist-in-Residence, and to NRDC's Elly Pepper for her assistance in interpreting the poaching data.